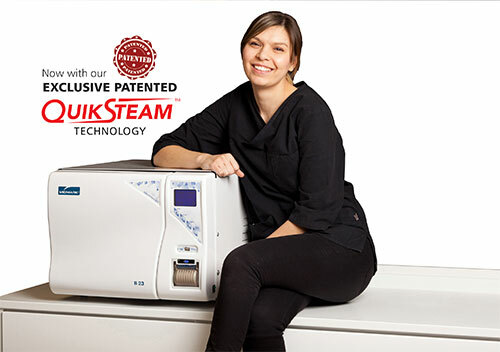 With exclusive new QuikSteam™ technology, Midmark Class B is your perfect ‘behind the scenes’ partner in today’s busy healthcare environment. Featuring a sleek, stylish, Italian design, the Midmark Class B provides the ultimate in infection control. 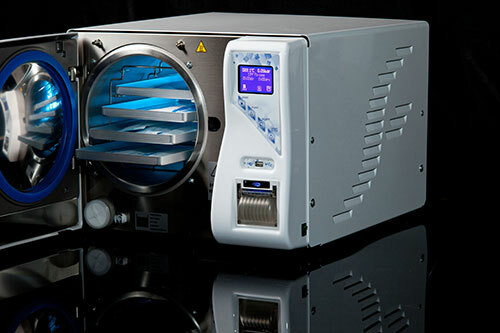 With easily wipe-able surfaces and effortless data capture plus a fail - safe automatic door locking system, this sterilizer proves to be as good as it looks. Even temperature and steam distribution ensure maximal steam to instrument penetration, and we also provide a range of water solutions to suit your requirements. Whether your aim is to use it all day, every day, or less frequently, the Midmark Class B range will maximise uptime in your practice whilst proving to be cost-effective and reliable.